Published By – Intersong Music Ltd. Produced For – Caledonia Productions Ltd.
Phonographic Copyright (p) – Caledonia Productions Ltd. Copyright (c) – Caledonia Productions Ltd. Printed inner sleeve with credits & lyrics. Spiritual , beautiful , mystical sunset .. this is the magic hour for us to listen good words from the higher ground . He will lift you up and turn you around and put your feet back on higher ground . 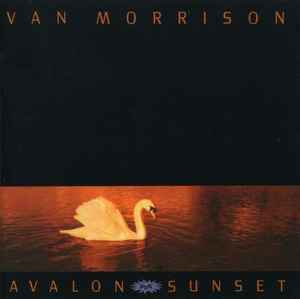 Van Morrison most succesful album . Whenever God Shinnes Light On Me , Have I Told You Lately , Orangefield ...all remarkable .